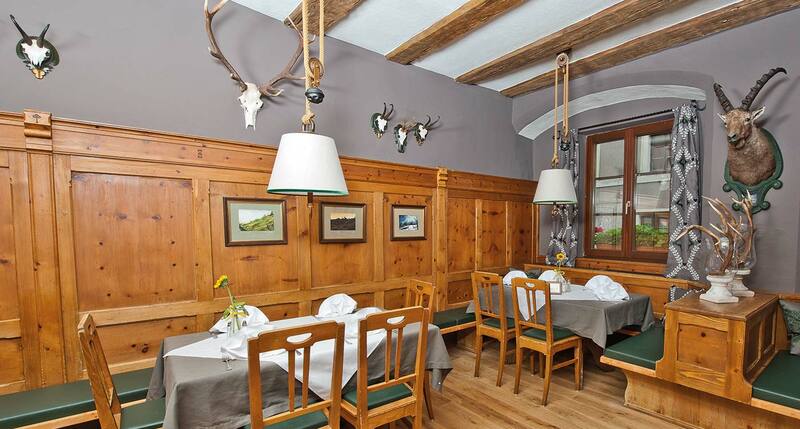 Whether you go for some hearty Speckknödel (dumplings), spicy Tiroler Gröstl (sautéed meat and potatoes) or sweet Kaiserschmarrn (famous minced pancakes), Tyrol has a taste which is unparalleled and versatile, especially at our Weisses Rössl Old Town Hotel and Inn in the centre of Innsbruck. Here, every bite is a tribute to tradition. An experience for your palate and a culinary journey back to the roots. Cooking receives our highest attention and that means you have our promise of Tyrolean home cooking and top-notch specialities. 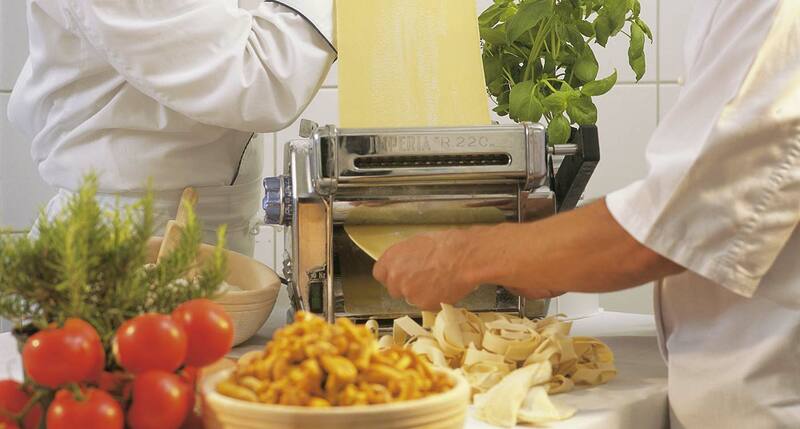 The love and time put into a successful dish are just as important as the freshness and quality of the products used. This is especially important to us, so traditional regional products suited to the season are the main focus above all. These dishes will be served to you in special culinary settings rich in Tyrolean charm and nostalgia by our Rössl team members, who know exactly how to pamper you with their competence and friendly approach. Welcome to the Weisses Rössl Restaurant! A good meal is quite simply an integral part of any wonderful holiday or city trip. Yet eating alone does not mean enjoying. This is because we feel that for a successful meal you need more than just tasty food: you need elegant presentation, the right wine, friendly service, a feeling of togetherness and naturally a proper ambience – and that is just the thing our guests can find at the Rössl Stube, to match the traditional philosophy of our cuisine. Here, you can feel at ease, have an interesting conversation, spend a romantic evening and of course, eat well. This is how you can get a taste of the good life! A steaming and hearty helping of spinach dumplings on your plate, a wonderfully refreshing glass of Grüner Veltliner in your hand and pleasantly soothing rays of sun on your skin. 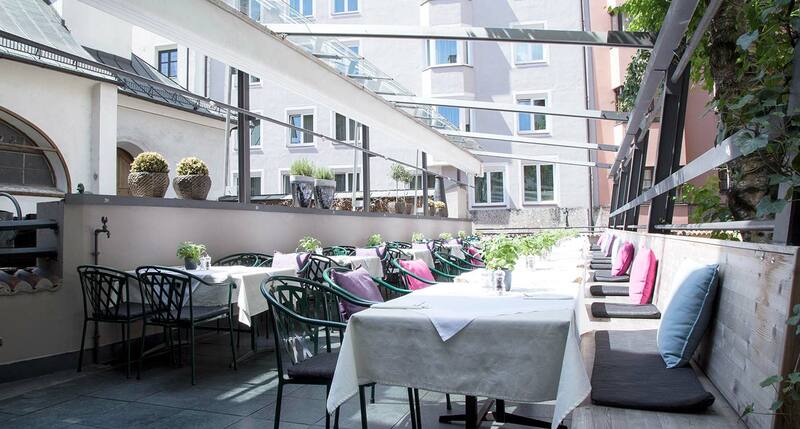 Have a seat on our Rössl Terrace! Here, each guest will find that special place in the sun, surrounded by the flair and ambience of the historic backdrop in the middle of the Innsbruck Old Town. Don’t forget to discover this spot where the fine foods from our kitchen taste especially good during the warm months and turn your small break from everyday life into a special experience!